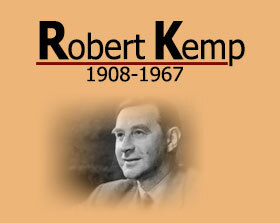 In 1950, Robert Kemp wrote a series of radio plays about Scots. They were about a young legal secretary called Jean Fitzpatrick traveling around Scotland studying the Scots language. Listeners followed Jean as she developed her knowledge of Scots vocabulary and pronunciation, and discussed its history and future. The series was broadcast weekly on BBC Scotland and featured Scots actors and other speakers of the language.The manuscripts of the series can be found in the National Library of Scotland, special collections room, AC 7622, Boxes 19 and 19A. Here is a flavour of the last episode 24 – Joan meets David Murison, the editor of the Scottish National Dictionary. She has seen the ten blue volumes so far produced, reaching as far as the letter D – ‘dayligaun’ – twilight and asks about the history of the dictionary. DM: “You’ll have heard of Jamieson’s dictionary” – after 100 years it was out of date. In 1907 the idea of collecting Scots words and phrases for another was mooted – investigations went on until 1929 when enough had been gathered to make a start on publication. The first editor was William Grant who died a couple of years earlier. Jean comments; “Until I looked at the National Dictionary, I never realised that one could read a dictionary as easily as one could an ordinary book. 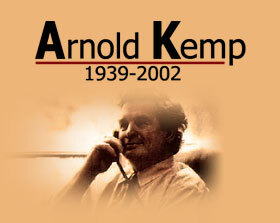 All these quotations to illustrate the use of each word are like glimpses of the past life of Scotland”. Murison explains that progress has been slow because of the finances, up to now they have had to rely on subscription and voluntary endeavour and have had too few assistants. Joan: What is the origin of the Guid Scots Tongue? DM: It is a dialect of Anglo-Saxon, Northern as opposed to Saxon or southern, that’s why it was called Inglis, or English, even in Scotland, until the 16th century. Scottish originally meant Gaelic. Inglis gained a footing in Scotland in the 10th century. Joan: Where is the earliest example? As time went on, the dialects went their several ways. Certain distinguishing marks became clear. One was vowel difference – mair and more, hame and home, muin and moon, guide and good, coo and cow, house and house. And verb endings – tells and telleth. The nearest tongue to Scots is modern standard English which grew out of the southern dialects. That accounts for the vast amount of common vocabulary – words like dog, fire, water, street, sleep. Jean: That doesn’t seem enough to explain the differences between Scots and English. Then of course, the fact that Scots was coming to be spoken by people who once spoke Gaelic – pronunciation, accent, vocabulary. Think of all the Gaelic words that are either a survival of the pre-Scots period or were borrowed later. Loch, glen, bog, linn, craig, cairn, brogue, crine, (to cower). Gab, skail, partan, whisky, kebbuck, peat. Jean: We were all taught at school about the influence of French on Scots through the Auld Alliance – words like ashet and gigot. DM – Yes, there’s a lot of them. Fash for anger or annoy, the laddie’s game of bools,. Rooser for watering the flowers,the gean or cherry tree, bajans or bejants for the first year students at St Andrews or Aberdeen, corbie, creesh for fat, coup for overturn, jalouse for guess…and a whole lot more. But did you know we owe a considerable debt to the Netherlands as well? At various times craftsmen were brought over to Scotland to develop industries. And they brought with them words like croon, crouse (cheerful and well content), dub for puddle, the scone you eat, loon for boy, fozy..and they may possibly have given us our fondness for the use of the diminutive. Jean: That does help explain the differences – how did Scots grow and then decline? DM: Here’s the outline. There’s no doubt that the big single factor was the political independence of Scotland – the unification of the northern Kingdom with a centre on the Forth as opposed to the southern kingdom centred on London. That’s really the reason of the development of the two languages, Scots and English. Then another important factor, aligned with the first certainly, was the development of a national literature, especially with Barbour who wrote his epic poem about Robert the Bruce. Barbour’s dates are just a year or two earlier than Chaucer’s. Jean: Yes, that would make the Scots feel that their language was separate and distinct from English. DM: Exactly. You might say that that had happened by the sixteenth century when Gavin Douglas was the first to apply the word Scottis to the language, to experiment with it and to develop it as a literary language. These are the two big factors in the build up of Scots. Jean: And what about the collapse, of which we are always hearing? DM: There you must begin with the Reformation. That made Scotland swing away from France, in the political sense, and you find more and more common ground with Protestant England. The Bible had been translated into English and from the sixteenth century onwards the English Bible was to be found in every kirk and what’s more in every home in Scotland. There was no rival Scottish version. Jean: And of course I know about the effect of the Union of the Crowns. DM: Yes, in 1603, James and his court took off for London. That meant the cultural centre of the Scottish kingdom ceased to be. Jean: And on top of that, the Union of the Parliaments. DM: Yes, with the making of English the official language. Then of course, you mustn’t forget that England has produced the greatest and most varied literature in the world and its effect on Scotland has been strong and continuous from the days of Chaucer onwards. As early as the time of James the Sixth and First, Drummond of Hawthorrnden, a Lothian laird, was writing in nothing but English. The Elizabethans influenced the minds of Scots and no less did the English Puritan writers. Jean: You said English became the official language in 1707. Was Scots official until then? DM: Yes, but of course Scots itself had become more and more anglicised from the middle of the seventeenth century onwards. It persisted among old-fashioned lawyers, clergymen and ladies, but in country parts, it disintegrated into clearly-marked dialects. These themselves began to be used for literature by writers from Allan Ramsay onwards. The real anti-Scots movement – a deliberate movement that is, as distinct from an unselfconscious one, began in 1770. DM: In Edinburgh, I’m afraid. And in the circle of very remarkable Scotsmen, like David Hume the philosopher, Adam Smith the economist, John Home the dramatist and so on. It was people from that circle who advised Burns to write in English. They officially began the anti-Scots movement which continues strongly to this day. Jean: Why should they have felt so strongly about it? DM: Well, for one thing, the authority of English letters was very high. For another, England and Scotland were just uniting in the partnership which brought the British Empire into existence. They were on the threshold of the Industrial Revolution. If you read the pages of the Edinburgh Review you find them full of the ideas of colonial development and industrial invention and development. The words progress and improvement were on every lip. And that Scots should participate in that movement – it was essentially a get-rich-quick movement – it seems to have been agreed that English must be mastered and used. You may say that although our great writers like Burns, Scott and Galt were on the side of Scots, the political and economic pressure were overwhelmingly on the side of English. Jean: I’m surprised you should mention Scott. After all, he wrote in English, except for his dialogue. DM: I’m glad you brought that up. Because I forgot to say that there also developed an economic compulsion on the Scottish writer to think of what is today called the English market and not to rule out the possibility of English sales by being too difficult in the sense of using too many Scots words. Scott did undeniably use English and appeal to the London reader, but critical opinion has always found his finest writing in the passages where he made use of Scots. Take his great tale of the supernatural, Wandering Willie’s Tale – that’s all in Scots. Jean; Didn’t Galt write in English too? DM: No. If you look at him closely, you’ll find he wrote in what I can only call a Scottified English – it is an interesting study because of the two schools of thought in revival of Scots today, or the attempt to revive it,I should say, One favours the use of a really thick and consistent Scots, the other the development of this use of Scots colouring on an English background. Jean: I’ll ask you about that later…I’m always hearing the Education Act of 1872 quoted as the villain of the piece in the story of the gradual debasement of Scots. What has that to do with it? DM: Well of course the Education Act of 1872 doesn’t specifically mention the language…,it brought in the school inspectorate with violently anti-Scottish ideas. Jean – Yes you still meet people who remember being punished for the use of a Scots word. I suppose that was in a way the result of this act. DM Yes, of course, the act was the expression of an outlook among our rulers and it, in turn, passed on that outlook to people in all walks of life. Jean or possibly caused them to react against it. Would you say that Scots is a dying language or is it only changing as I suppose all languages change? DM: There’s very little doubt about the answer. Scots is dying. There is no standard form. Much of the vocab has already been lost. It has no status except in sentiment. It is not taught in or out of school. Such efforts as there are to keep it going are sporadic and unmethodical. Jean: I’m sorry to hear you say that, terribly sorry. DM: Well Jean, what do you think I am? But I don’t see any other conclusion possible. The Industrial Revolution came after English was established in Scotland, and the old tongue has only partly and not very successfully adapted itself to urban life. You can’t say that Scots is simply changing as other languages do – it no longer recreates from it down resources. It simply borrows from English and American, which are of course prevalent everywhere in Scotland. Jean asks about dialect areas. DM: The first clear boundary between Highland English and Scots is the Highland line. The great semicircle from Inverness to Campbelltown. Then there is one great dialect area lying diagonally between Dundee and the Solway Firth. That’s the most important because it the relic of the old metropolitan Scottish speech of before 1700. There is a characteristic speech in the south east part, Dumfries Selkirk, Roxburgh but its contracting rapidly under the influence of Athena and Clydesdale. North of Dundee is the most conservative and liveliest area of Scots, sxceptperhaps Shetland where the people take a conscious pride in their speech and there’s a healthy literary movement to keep it going. Jean: You speak of a literary movement to keep the language going – what do you think of Lallans? DM: A leading question eh? Well, I won’t shirk it. The general aim of the movement seems to me very commendable. All poetry is an experiment with language and there’s no doubt a great poet could Lallans a tremendous fillip, just as Burns did in his day with eighteenth-century Scots. But the actual methods aren’t scientific enough. Jean: Science to write poetry? What do you mean by that? DM: ONly that we need a much more intense study of the Scots language as such. Earlier models should be given more attention. It’s not enough to run off to Jamieson. We must always go to the actual sources. Therefore we must know our literature – know it inside out! Jean: So you think the poets might save Scots? DM: Not alone. A Scots prose must be attempted too – perhaps first through the drama. Jean: Well, I’m glad to see that though you’re so emphatic that Scots is dying, you don’t seem to rule out the thought that it might be revived. What steps would you take to bring it to life again, if you were dictator? DM: That’s just the point., it’s not a dictator that’s wanted! It’s general agreement that it’s desirable to speak Scots. So long as the majority of Scots think it’s vulgar to speak Scots, then we get nowhere. We must give the language status by realising that it is not a haphazard, slipshod speech, but something with a right and a wrong way, a tongue in fact with a long tradition of good usage behind it. Jean: Therefore it must be taught. DM: Yes, and just as carefully taught as English or French or German. This has never been done officially, although the Burns federation have made praiseworthy epifire to stimulate interest in Scots by offering prizes. By the way, in 1946, the Advisory Council on Primary and Secondary Education in Scotland recommended just this careful teaching of Scots. I wonder if anything been done about it? DM: So could I. But it’s a great problem this, of sticking to a language. Writers must use it, to write of modern life. Even on a less ambitious scene, the disappearance of the dialect column from the local paper is a retrograde step. The BBC and the theatre have their part to play – a big one because people who cannot read Scots can understand it quite easily. We must read most Scots, listen to good speakers and parents mustn’t be afraid of taking it to their children. It is part of a heritage of which they have certainly no reason to be ashamed. Jean: Yes and do you know, it’s a study that pays you — I have learned so much and met so many people.